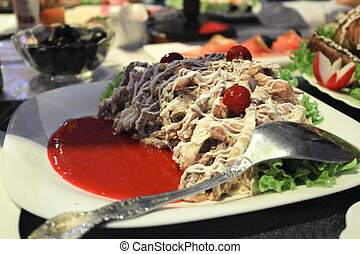 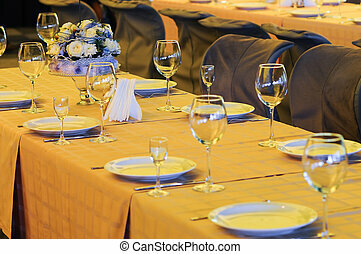 Banquet table. 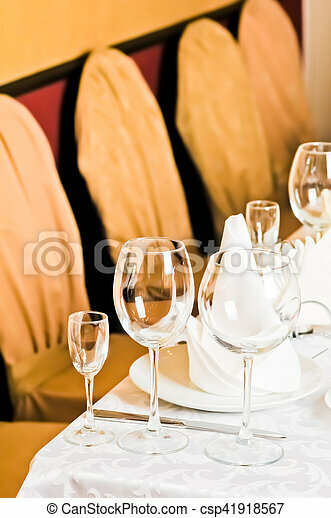 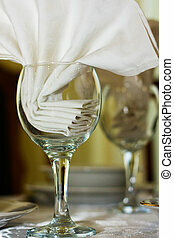 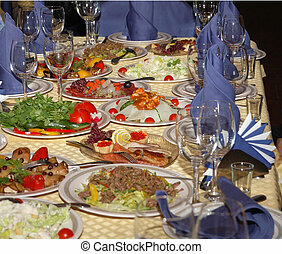 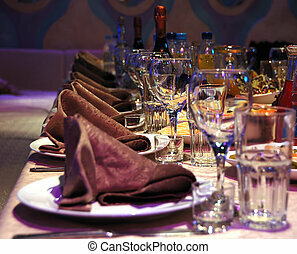 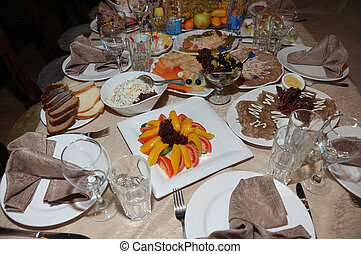 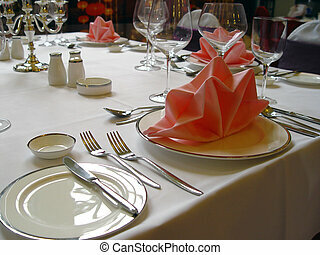 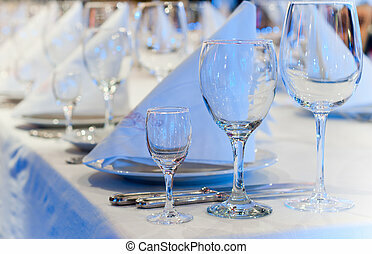 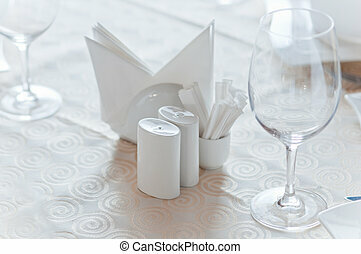 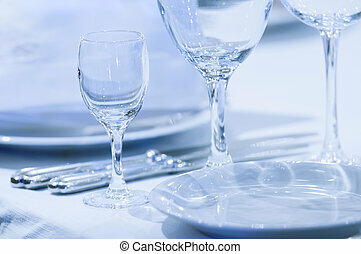 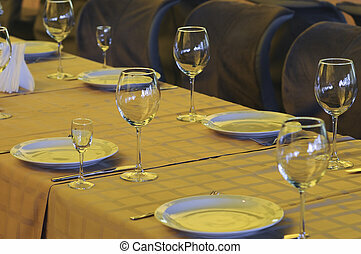 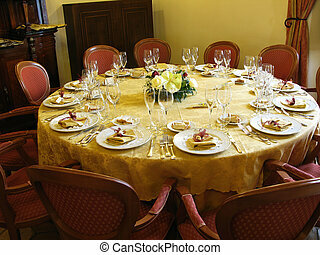 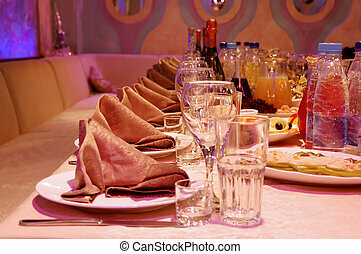 Arranged banquet table with wineglasses. 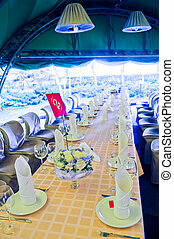 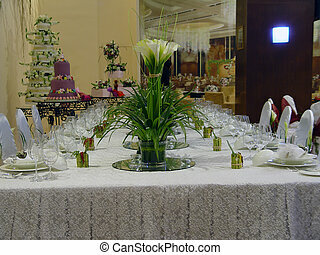 Arranged banquet table with number.Wide angle. 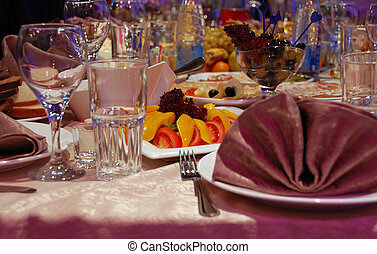 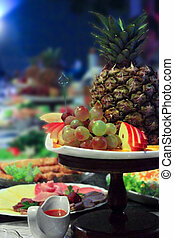 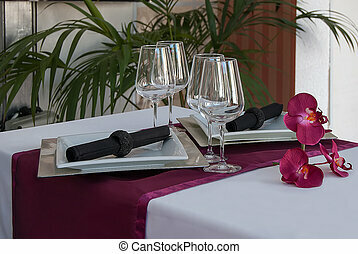 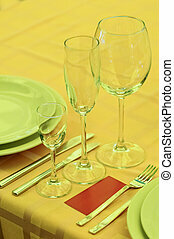 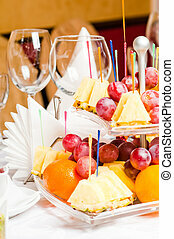 Arranged banquet table with wineglasses and vase with pineapple and grapes. 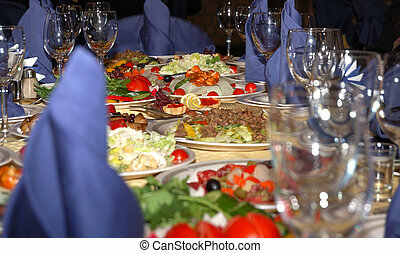 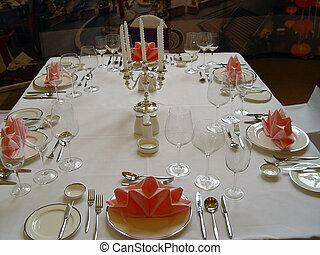 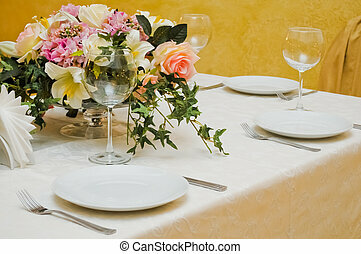 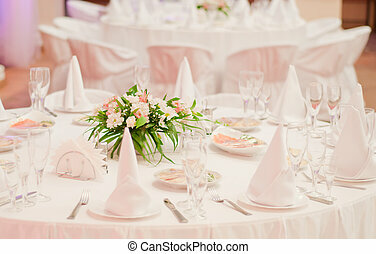 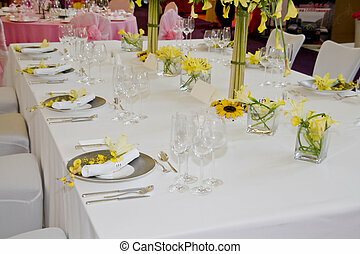 Arranged banquet table with flowers. 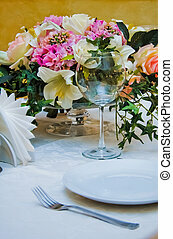 Pastel tones. 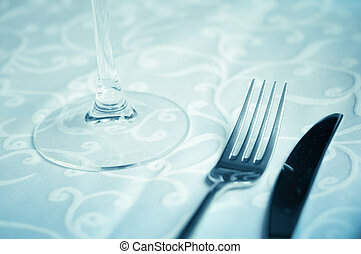 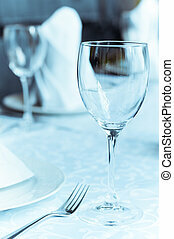 Wineglass on the table wiht fork and knife.Close up. 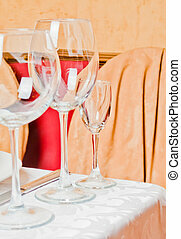 Wineglasses on the arranged table.Close up. 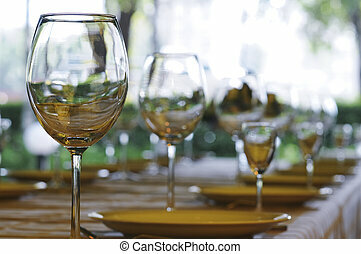 Wineglasses in a row on the arranged table.